The little people. Little people love pumpkins. 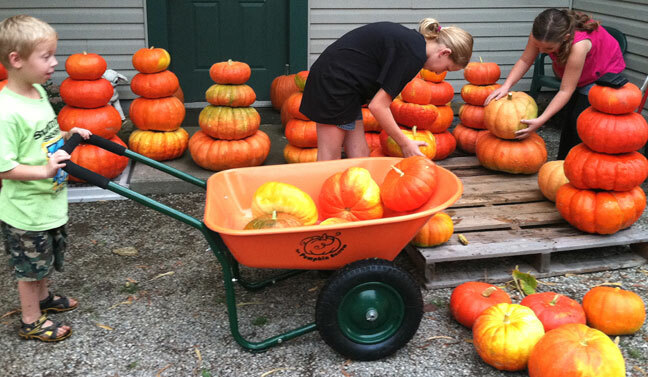 Even littler people love pumpkin carts. 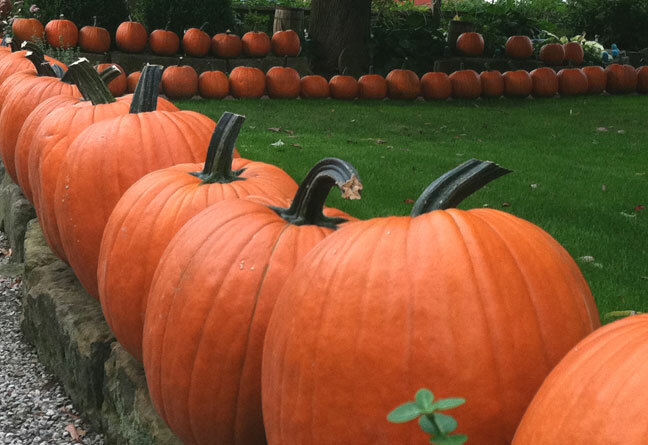 And for some reason, they all love the sharp “nippers” we use to trim the stems before stacking fairytale pumpkins. 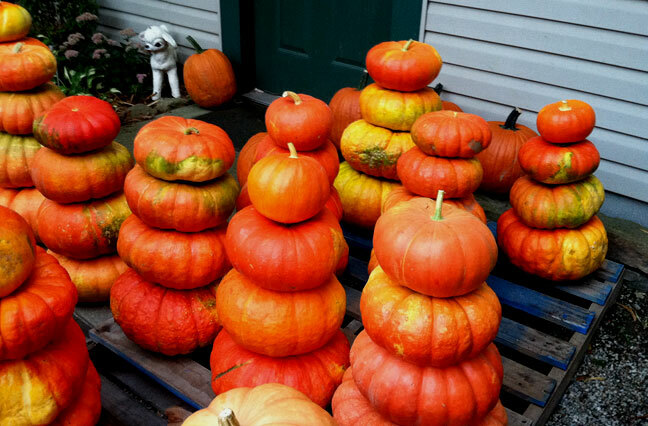 Everyone still has their fingers and toes, though, so I consider it a successful pumpkin season … so far. The market is bursting with a bountiful harvest … stop over and see what ‘Ma & Pa Kettle’ have in store. Did I mention … there’s cider!